Are you planning a fall baby shower and need the perfect theme? 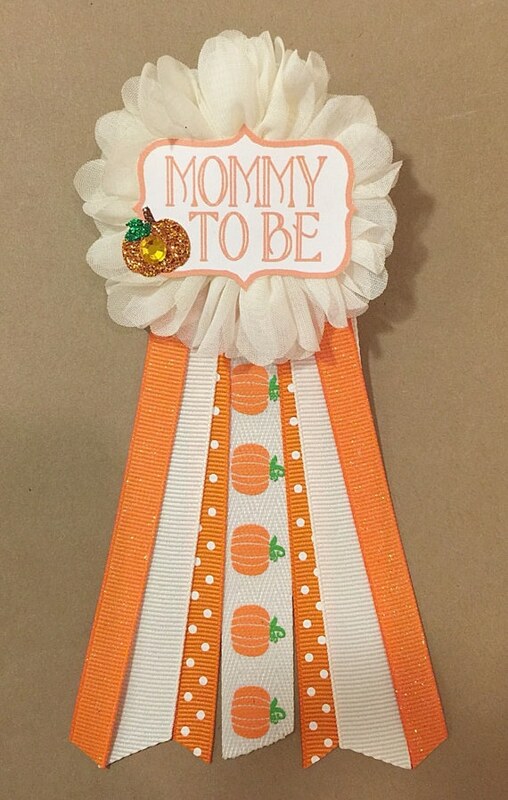 We absolutely adorable the Little Pumpkin Baby Shower Theme! There are so many cute ideas that you can incorporate. Here are 21 Little Pumpkin Baby Shower Ideas that will help you plan the ultimate Little Pumpkin Baby Shower! 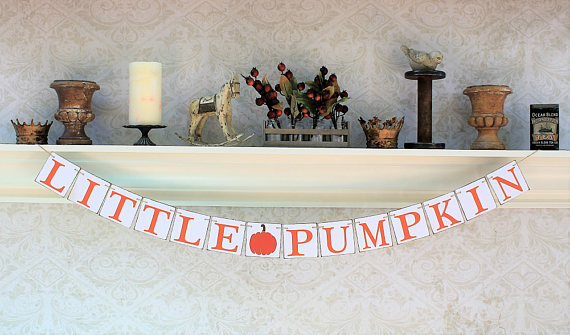 Add this Little Pumpkin Baby Shower Banner to your shower decor. 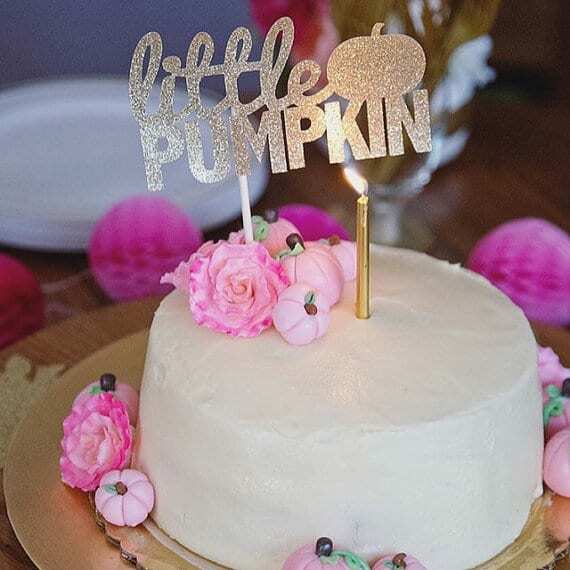 This gold glittery Little Pumpkin Cake Topper is the perfect thing to add to your baby shower cake! 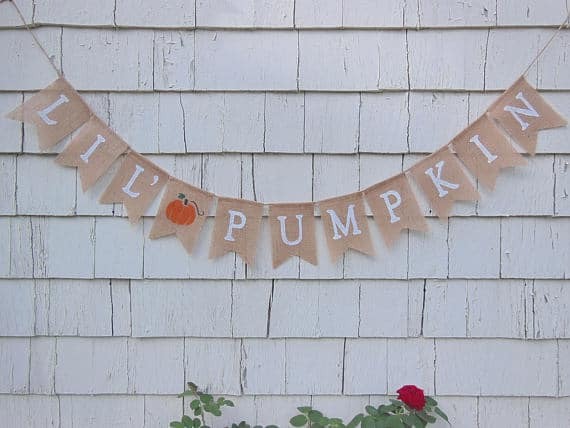 This Lil’ Pumpkin Burlap Banner would look great if you’re planning a more rustic, fall-themed baby shower! 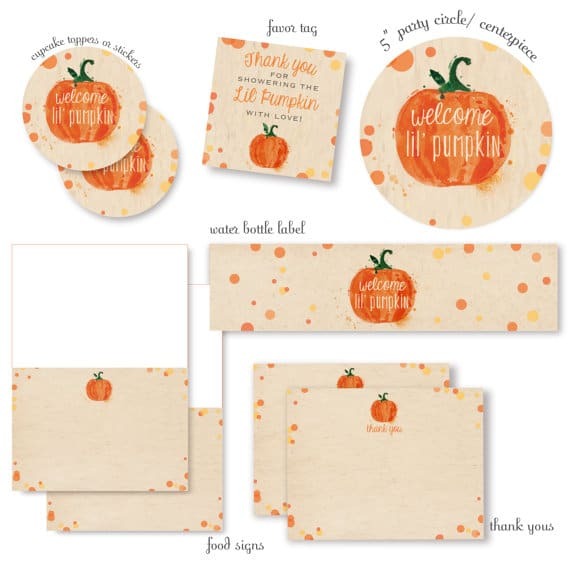 Get this Lil’ Pumpkin Fall Baby Shower Party Set and you will be on your way to planning the best baby shower! These Baby Pumpkin Cakes are perfect to add to your dessert table. Don’t they look delicious?! 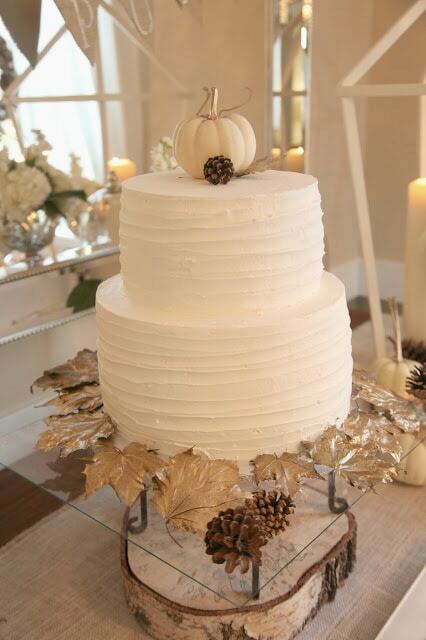 We love this My Little Pumpkin Baby Shower Cake topped with a white pumpkin and surrounded by gold leaves! 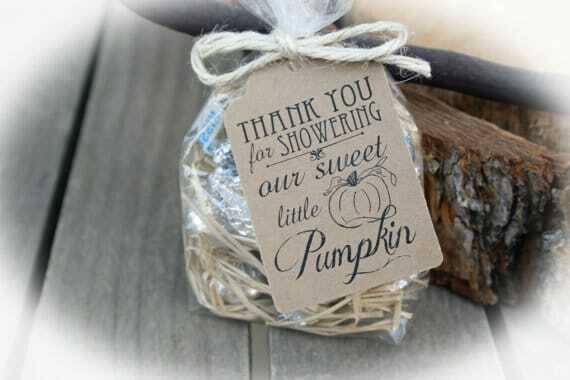 This Little Pumpkin Baby Shower Favor is a no-brainer for this theme! 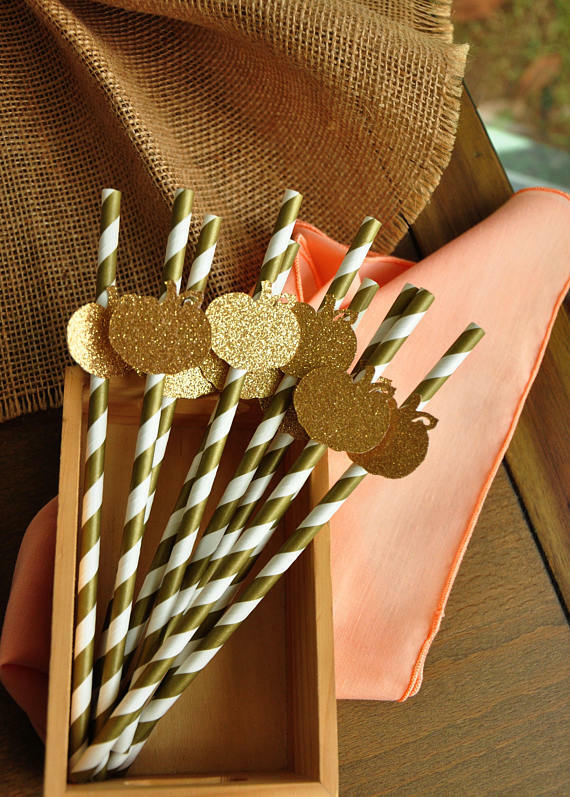 These Pumpkin Straws would be perfect to add to some mason jars for your shower! Make these Easy Pumpkin Pretzels for your shower. Guests will love them! This Little Pumpkin Party is too cute! Get ideas for your baby shower from this sweet party setup! 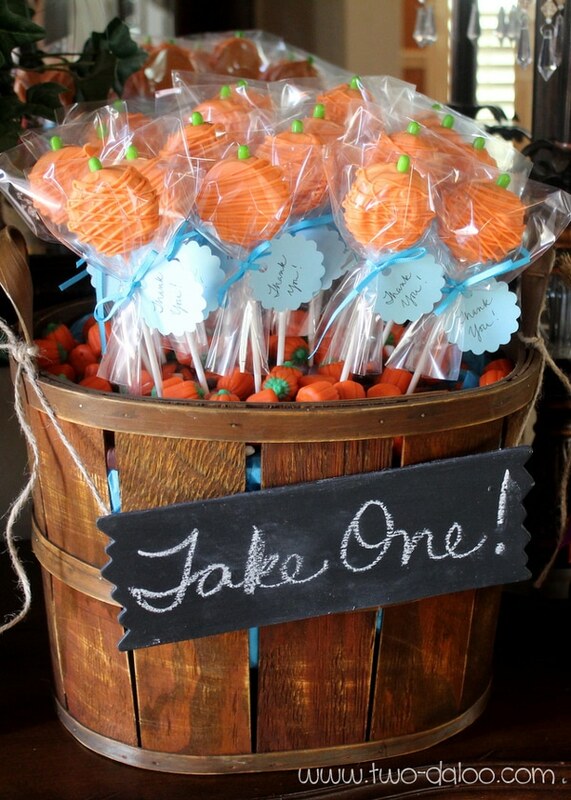 Consider Pumpkin Lollipop Favors for your guests to take home. 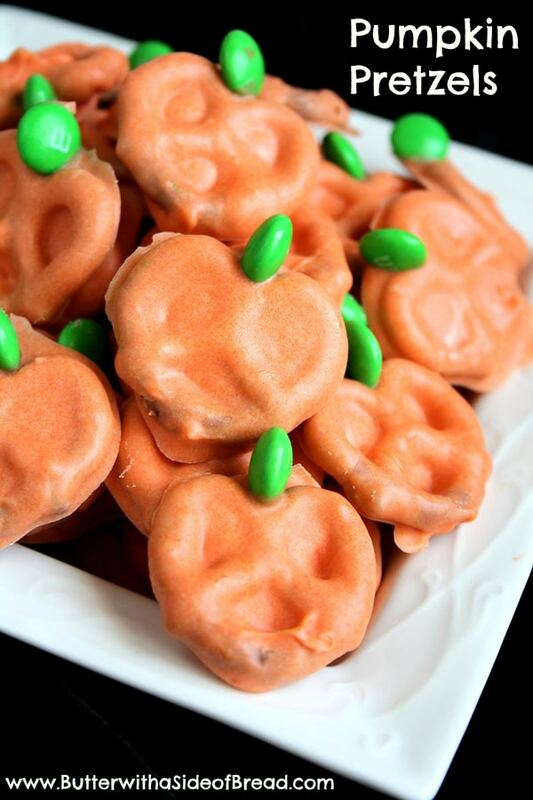 We love how they put them in a barrel and filled it with little pumpkin candies! 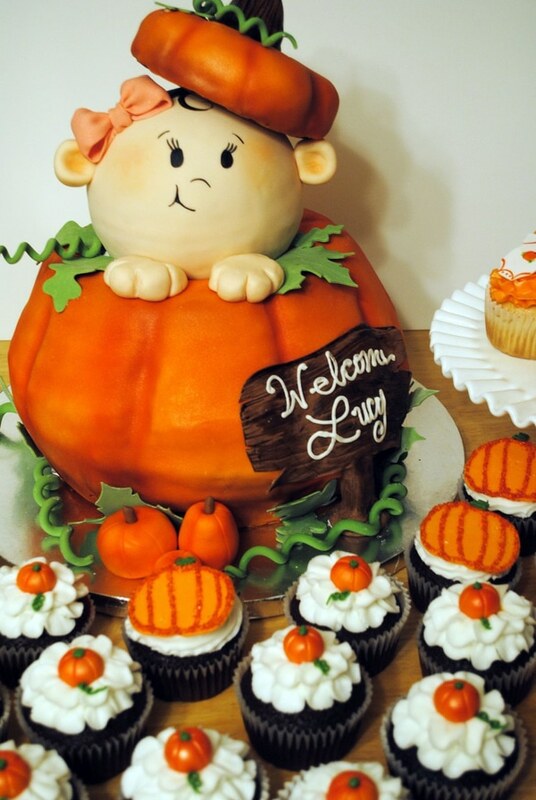 How adorable is this Pumpkin Baby Shower Cake?! LOVE! 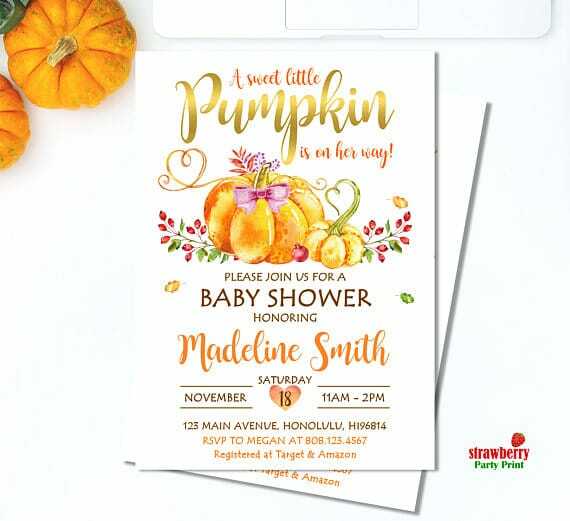 This Little Pumpkin Baby Shower Invitation would be perfect if you’re expecting a little girl! 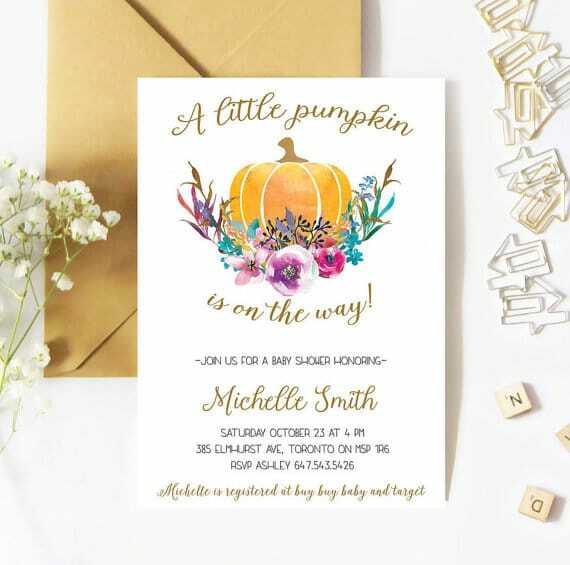 This Flower Pumpkin Invitation adds a little boho vibe to the theme. 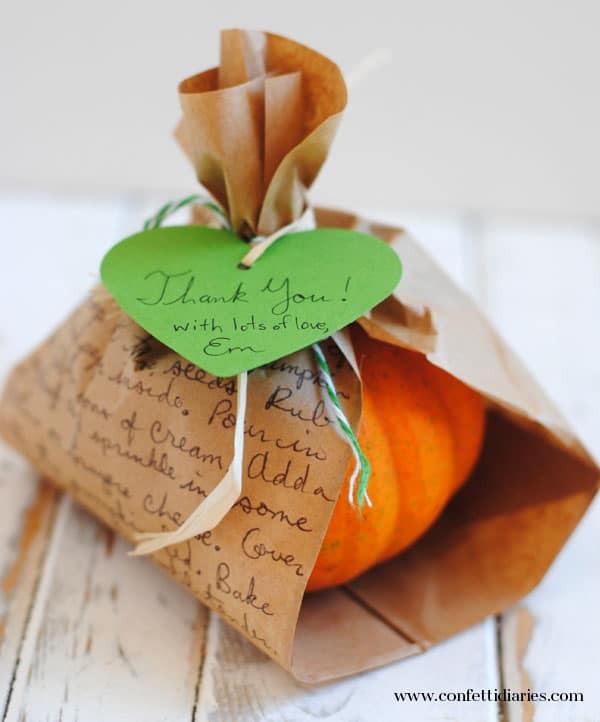 Add these Pumpkin Favor Tags to your gifts. 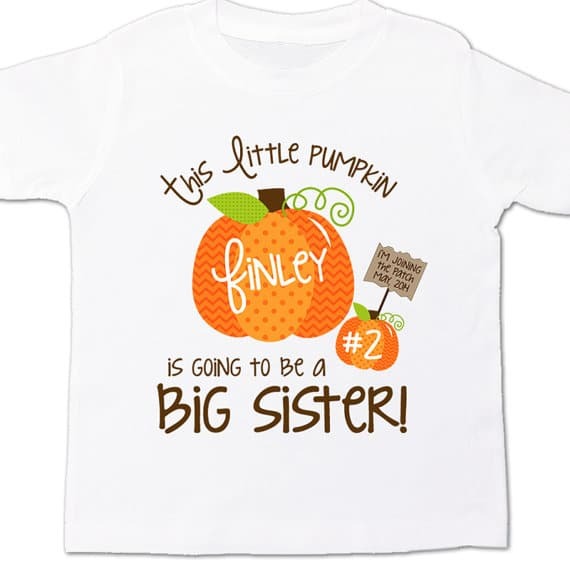 If there is a big sister in the family then you definitely need this Little Pumpkin Big Sister Shirt! 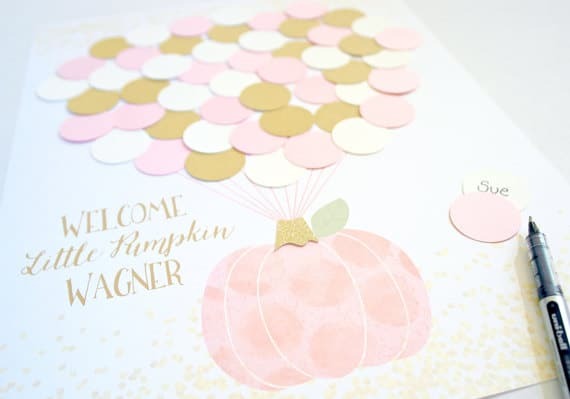 We love this Little Pumpkin Baby Shower Guest Book idea! Have guests sign the little circles and frame it for a forever keepsake! 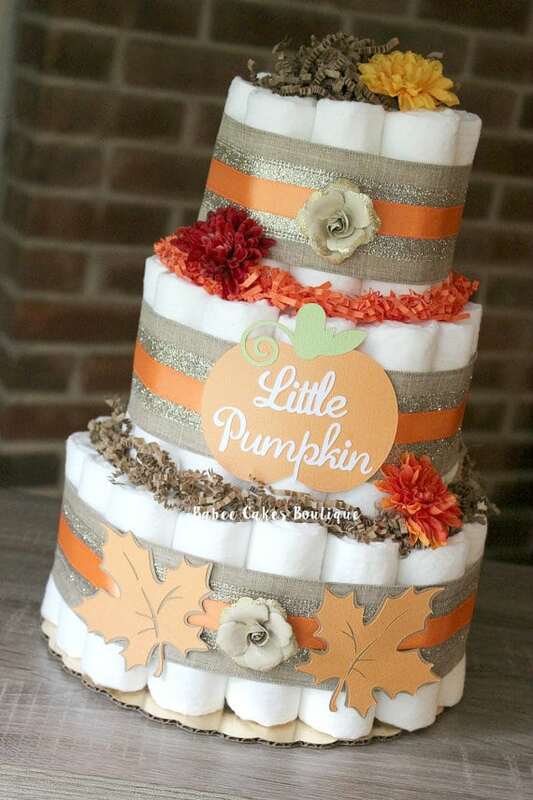 We adore this Little Pumpkin Diaper Cake – perfect for this baby shower theme! 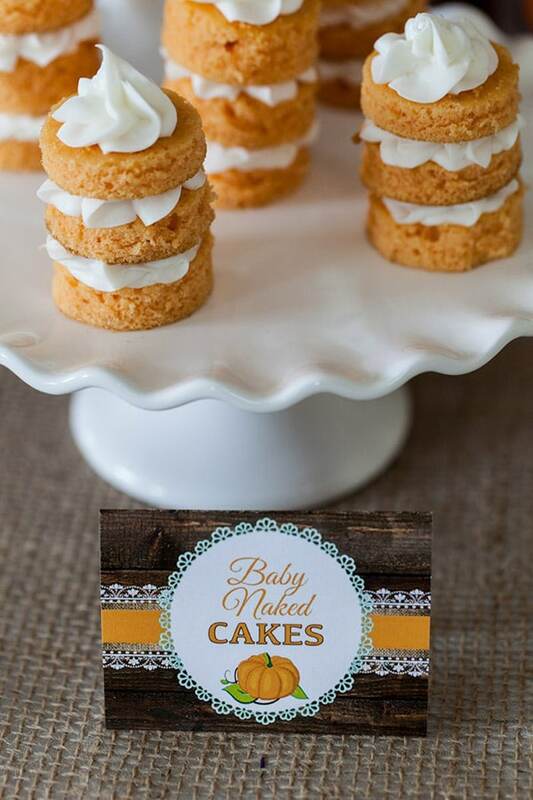 We’re just loving all of these Little Pumpkin Baby Shower Ideas! This Pumpkin Mom-to-Be Pin is a must-have for your guest of honor. 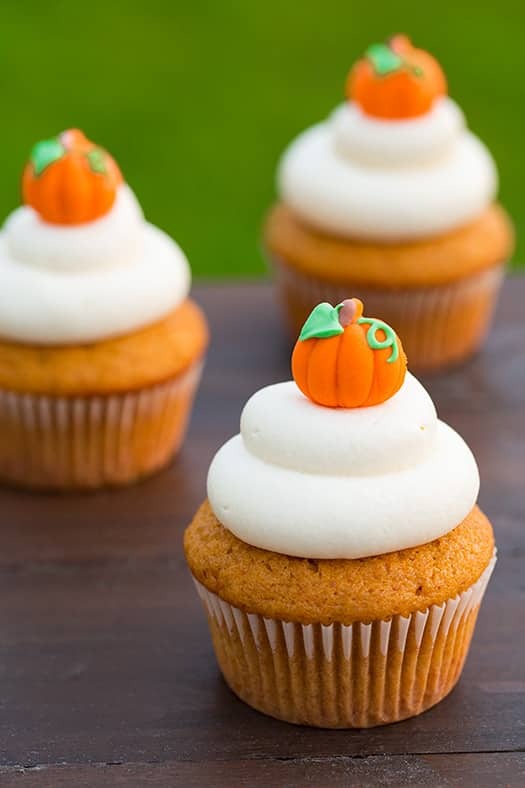 Get the recipe for these Pumpkin Cupcakes with Cream Cheese Frosting … YUM! We love the idea of including your baby’s ultrasound like in this Little Pumpkin Ultrasound Photo! 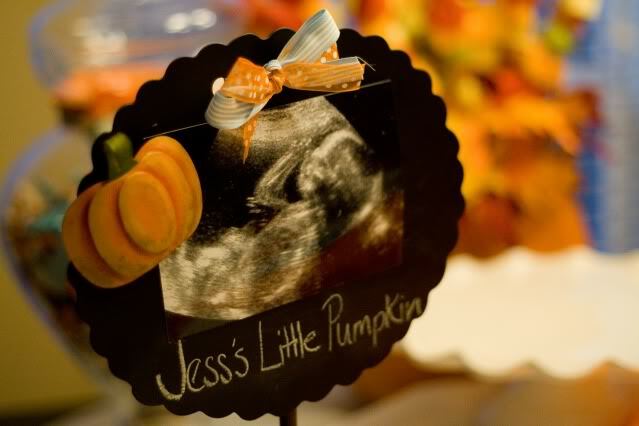 Which of these 21 Little Pumpkin Baby Shower Ideas are your favorites? Let us know in the comments below! 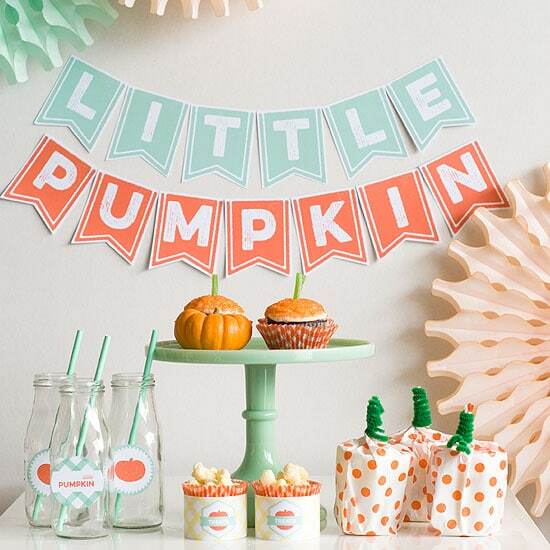 Plan an amazing Little Pumpkin Baby Shower with these products hand-picked by our editors. Sign up for a 30 day free trial of Amazon Prime and get free 2-day shipping on your party products! Such a cute and unique idea! 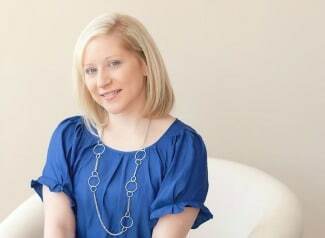 Definitely perfect for if the bridal shower is in the fall – or, in a twist, maybe if baby is due in the fall! Thanks for sharing these ideas. Thank you for including our pumpkin tags! Love all these adorable pumpkin items.